Snacks is a small amount of food eaten between meals. It can be taken before or after meal depending on the rate of hunger but sometimes people do take it for it’s sweetness, not naturally to fill the stomach. Snacks is not the main food course, it is an appetizer and does not satisfy hunger. Most snacks is prepared with sugar and therefore it is not advisable to consume it always or too much because of health. Snacks comes in different sizes, shapes, quality and cost and it’s availability is open everywhere because it is easy to prepare. The consumption of snacks is not limited to age, gender race or religion. Snacks is mostly consume by children because of its sugary nature, it is often package for children to eat at break time in school, not to satisfy hunger but to keep them going before getting home to eat the main course. Snacks is presented at different occasions including birthday party, naming ceremony, church anniversary and so on. If you are currently unemployed and you are thinking of venturing into business, snacks production is lucrative and it will help you maximize profit, this is because snacks production is easy and it is consumed by a large number of people, apart from that, the capital to begin is cheap and the equipment are affordable when compared to other equipment for other business. Snacks business is not limited to the acquisition of certificate, anyone can venture into it without any authorization, its sales is high because people consume snacks daily, it maximize profit because you determine the quantity of the snacks and it’s attract large patronage. Another advantage of going into snacks production is that it is not affected by weather, whether in rainy or dry season snacks can be consumed, so there is no fear of business melt down due to season. Another reason why you should venture into snack business is the fact that it is easy to learn. You can learn how to produce snacks in a short period of time and you can learn it in the comfort of your home through internet or you can register at the nearest catering school around your home. Also, it is very easy to get the ingredients for production, snacks ingredients can be found in the public market or supermarket and you can also order them online. Venturing into snacks business does not take much time to adjust to, when you start baking whether cake, chin chin, eggroll or what have you, it will look like you have been doing all your life and it is very satisfying to know you have produced something on your own. Apart from the above, when you bake good and quality product, you gain more customers and your profit increase likewise. If you are worried about how to market your products, there are several ways of doing that: you can open a shop, distribute it to school, parties, occasions or employ people to hawk it for you. So you see, it is really easy and profitable. The above is very common and it is very important for you to do something different so as to attract more consumers, there are several ways to make yours unique, you can think up ways to produce yours, you can get ideas through the internet and you can also repackage yours. While working on your new ideas to attract customers it is very important to put in mind the importance of healthy living, I know business is for profit maximization but it is important to consider the health of your consumers by taking into consideration time factor, do not over produce, over production leads to waste. When you over produce and the products are not purchased, it begins to rot because the ingredients are easily perishable. Producers tend to rebuke or refry their products the next day or days after forgetting that the consumers can identify the difference between fresh ones and the ones that has known many days, sometimes these snacks sour giving it a bad taste but the producers still market it and this is a heavy turn down for business, this leads to loss of customers and poor business reputation. It is very important for you to have good preservative equipment like fridge, that you can use to preserve your products. Now that we have a broad knowledge of snacks production, let us go into what it takes to successfully venture into it. • The needs of your customers, if they are satisfied with the current products and if they are not, you will think of how to improve yours to gain your trust and increase patronage. This is the assessment of the practicality of a proposed plan or method. 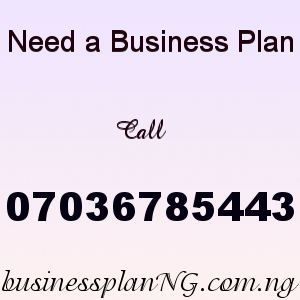 This helps you to know if the business is practicable ornot according to your estimated cost, that is if it is possible to execute your business plans or not. It helps you to be aware of various factors that determines your business success or failure, this factors include, legal factors, physical factors, environmental factors, financial factors and so on. It is important for you to be aware of the kind of product you are producing. As a producer, you should be able to produce good products and it is advisable for you to be the one to produce it. If you have no idea on how to produce it, you should enroll in a catering school and get a first hand knowledge after which you will be certified. If you already have knowledge about it, it is also important for you to add to your knowledge through the internet or by learning more making your product unique. This is where your business is located. It is important for you to consider the location of your business, the location goes a long way to the success or failure of your business. It is advisable for you to set up your business in a busy environment. A busy environment attracts more consumers, the higher the consumers, the higher the profit. There are busy areas like market, school, factory etc. It is important for you to have a business name and logo, this distinguish you from the others. You can place the business name and logo on your product package, this makes you to be known and people easily identify you. The type of product you will produce will determine the type of equipment you will need. If you are baking you will need oven and if frying you will need frying pan. Below is a list of equipment you will need for snacks business. It is important that you have smoke detector and fire extinguisher incase of emergency. If you are starting on a large or medium scale, you will need workers and it is important that you employ people who have a good idea about snacks production. When you first begin you may not need any registration but it depends on your environment. Some environment have unions and it is important for you to register for such union. As times go on you will need approval mostly when your products have gain popularity and you are supplying it to good restaurant or supermarket, and one of such approvals in Nigeria is NAFDAC, most people prefer to buy products that have NAFDAC approval. No matter how good your products are, if you lack marketing, you will not succeed. You should plan on how to market your products, think of places that needs your products and supply. You can start by offering free samples to places like restaurant, supermarket, schools, motor park, fast food, kiosk and so on. When marketing place low price so as not to be rejected and when your products have been accepted and consumed by more people with much demand then you can add price but not too much. Snacks business has much profit but it depends on how good you are, if your products are good, then your price will not be rejected. There is profit in cake, you can sell a cake for 6000 or 15,000 or more depending on how good your products is. The ingredients for baking cake is not expensive but what you get out of it. You can bake wedding cake for 50,000 or more depending on your skill and what your clients can afford. You can even bake small cakes for a large amount. Egg rolls is sold for 100 naira and its ingredient is not expensive and you can gain more if you buy more ingredients in bulk and bake more. This also includes chin chin, meat pie and the rest of them. • Do not over charge. Do not place too much price on your product, this can discourage your customers. • Do not over produce. When you over produce, you may not be able to sell everything and it leads to loss. • Do not sell old products or rotten products. Most producers sell products that have known many days because they do not want to loss, they even go as far as selling rotten products, this is bad for your business and ruins your reputation. • Do not set up your business in a remote environment. Your business should be located in a busy environment that will attract more customers. • Package your products. Don’t just produce and sell anyhow. Make sure to package your products to make it unique. • Display your products. You should display your products for consumers to see, the more you display the more you get more customers , it’s part of marketing. No customer see hidden products. • Hygiene. Be very clean, do not bake in a dirty environment. It discourages customers. Ensure to wash equipment before and after production. • Sell your products with drinks like coke, zobo drink. • Supply to other business outlets like schools, markets. • Have a financial record. Record everything you have sold, your capital, income, profit and loss. This is important because it let’s you know if you are improving or failing. Do not wait for tomorrow or for you to have more than enough, there is never enough, start with what you have. Procrastination is a failure’s attributes. You now have a broad knowledge, why wait for tomorrow? Start now!!! Our sample Snack Production Business Plan in Nigeria can be used to access bank loans, proposal writing and grant applications. The business plan was complied after a thorough feasibility study on Snack Production in Nigeria was done. After you have made payment for your Snack Production Business Plan in Nigeria, send a text of your names, valid email, and relevant payment details to 07036785443.